You are here: Home / Albemarle / What if Charlottesville had Only 29 Restaurants? Charlottesville 29 is a fantastic new blog asking (and answering) the question – If there were just 29 restaurants in Charlottesville, what would be the ideal 29? I found this blog when it was shared by a friend on some social network. 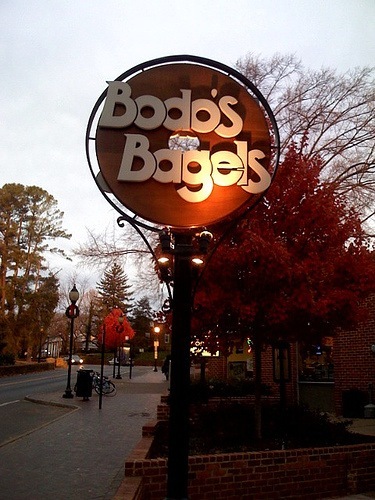 I remember that he pointed out what is possibly the most comprehensive, definitive depiction of the Charlottesville institution known as Bodo’s. It’s a fascinating read. Still not convinced? Consider this. Combined, Bodo’s three locations feed close to 6,000 people per day. That’s nearly 500 per hour that they are open. Or, seven per minute. I’m looking forward to reading more in my now-pared-down daily reading.